SAVE $400 0N THIS ZERO TURN MOWER! 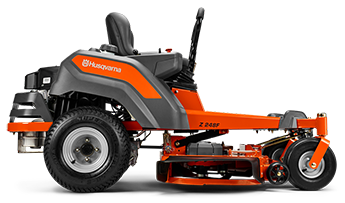 This high performing Zero Turn is powered by a 21.5HP Kawasaki FR Series V-Twin Engine and boasts a 42" ClearCutTM Fabricated 10 Gauge Deck which provides unsurpassed cutting results for a lawn to be proud of! With cutting edge design, easy to start and operate and proven performance, this mower will truly deliver. High performance 42" cutting deck allows side ejection or optional mulch and collection capability. Complete with foam padded steering levers and an adjustable seat for added comfort!